1. Fully understand and clearly declare the intentional presence of allergenic foods. 2. Prevent the unintended presence of allergenic foods into their product. Almost half of the food recalls are the result of undeclared allergens, and often these at-fault allergens were not only undeclared but unintended. Given such, the unintended presence of allergenic foods is something that must be carefully considered when establishing an allergen control plan for a food processing facility. In several of these verification procedures, it may be necessary to utilize an analytical test to determine the presence or absence of an allergenic food or to quantify its level if present. Indeed, selecting an appropriate method to assess the presence or the level of an allergenic food is vitally important as the information provided by the selected method will inform crucial decisions about the safety of an ingredient, equipment or product that is to be released for commercialization. A cursory review of available methods can be daunting. There are several emerging methods and technologies for this application, including mass spectroscopy, surface plasmon resonance, biosensors and polymerase chain reaction (PCR). Each of these methods has made advancements, and some of them are already commercialized for food testing applications. However, for practical means, we will discuss those methods that are most commonly used in the food industry. The use of a specific rapid immunoassay provides a presence/absence result that determines whether equipment, surfaces or utensils have been cleaned to a point where proteins from allergenic foods are undiscernible at a certain limit of detection. Thus, equipment can be used to process a product that should not contain a food allergen. Some commercial rapid immunoassays offer protocols to use this type of test in raw materials and final product. 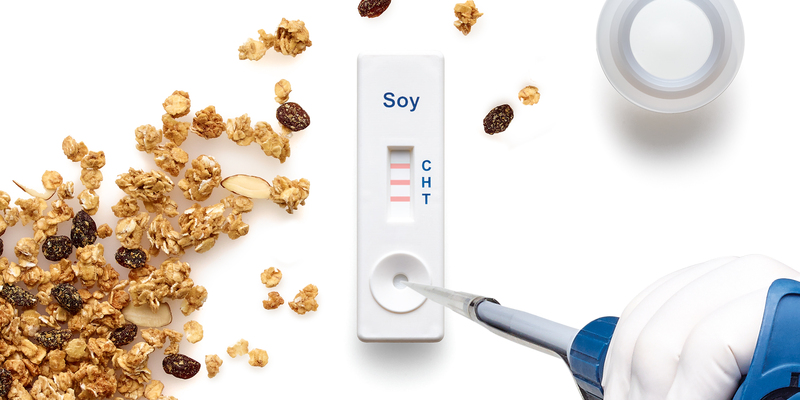 This allows food producers to analyze foods and ingredients for the absence of a food allergen with minimum laboratory infrastructure and enables in-house testing of this type of sample. This feature may be a useful rapid verification tool to analyze the final product that has been processed shortly after the first production run following an equipment cleaning. 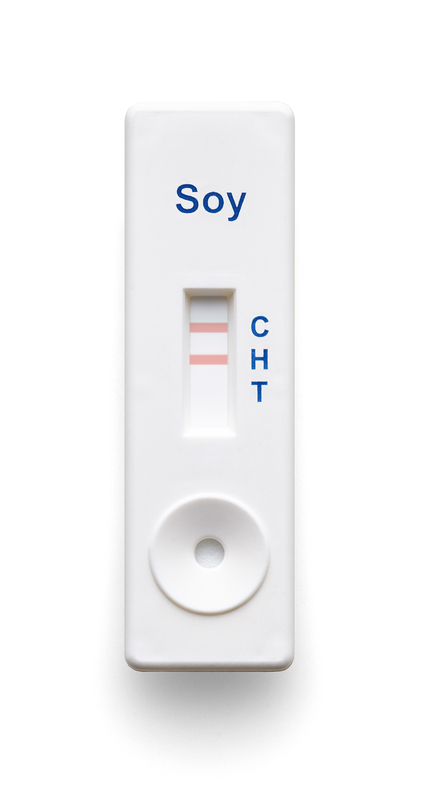 Tests that determine total protein are often based on a colorimetric reaction. For example, commercial products utilize a swab format that, after being used to survey a defined area, is placed in a solution that will result in a color change if the protein is detected. The rationale is that if the protein is not detected, it may be assumed that proteins from allergenic foods were removed during cleaning. 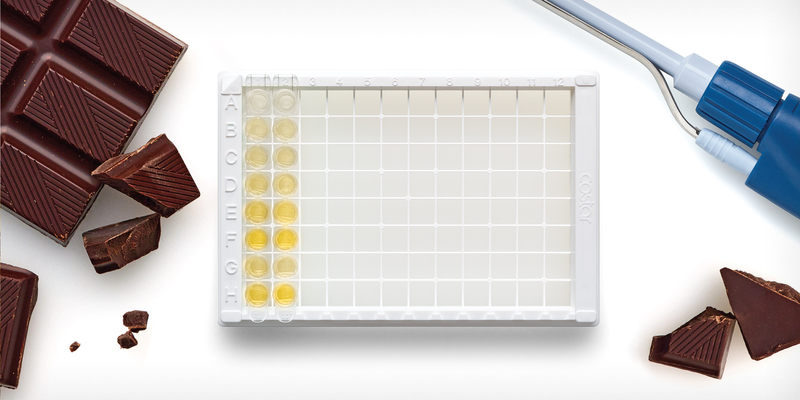 However, when total protein is utilized for routine verification, it is important to consider that the sensitivity of protein swabs may differ from the sensitivity of specific immunoassays. Consequently, highly sensitive protein swabs should be selected when feasible. Specific rapid methods for verification are preferable because they enable direct monitoring of the undesirable presence of allergenic foods. For example, they can be utilized in conjunction with a non-specific protein swab and, based on the sampling plan, specific tests can then be used periodically (weekly) for sites identified as high-risk because they may be harder to clean than other surfaces. In addition, non-specific protein swabs can be used after every production change-over for all sites previously defined in a sampling plan. These and any other scenarios should be discussed while developing an allergen control plan, and the advantages and risks of selecting any method(s) should be evaluated.